Did you know that Affluent households are more likely to celebrate the Fourth of July at a picnic or BBQ with family and friends than they are going to a parade? More than four times as likely, in fact, according to a survey of wealthy investors conducted by Spectrem. Six-in-ten Millionaires surveyed said they would be getting together with family or friends for a BBQ or picnic compared with just 13 percent who indicated they would be attending a parade. 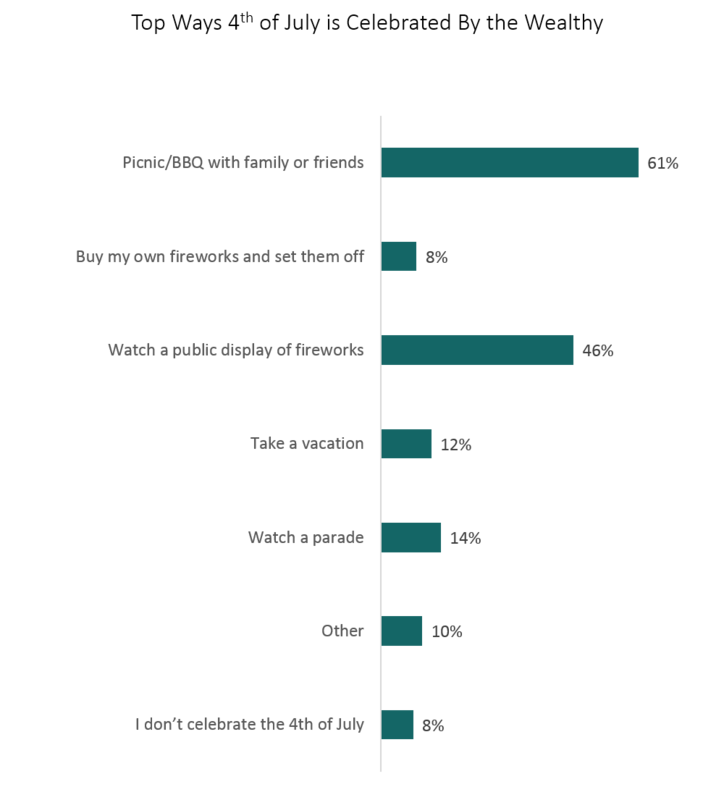 Almost half (48 percent) said they will be attending a public display of fireworks. Wealthy women surveyed much prefer parades to setting off their own fireworks (16 percent vs. 5 percent), while for men, it’s a draw (12 percent for the parade/10 percent setting off fireworks). How will you be celebrating Independence Day? Whatever it is you decide to do, may you have a happy and safe 4th of July.